Death in comics is a revolving door, but some characters still get a big sendoff...and it looks like Extermination casualty Cable is one of those. The character's death last month took fans by surprise — by design — and his daughter, as well as the creative team behind his solo comic, are celebrating the life of Marvel's time-traveling mutant in comics this December...with a little help from an X-Men legend. 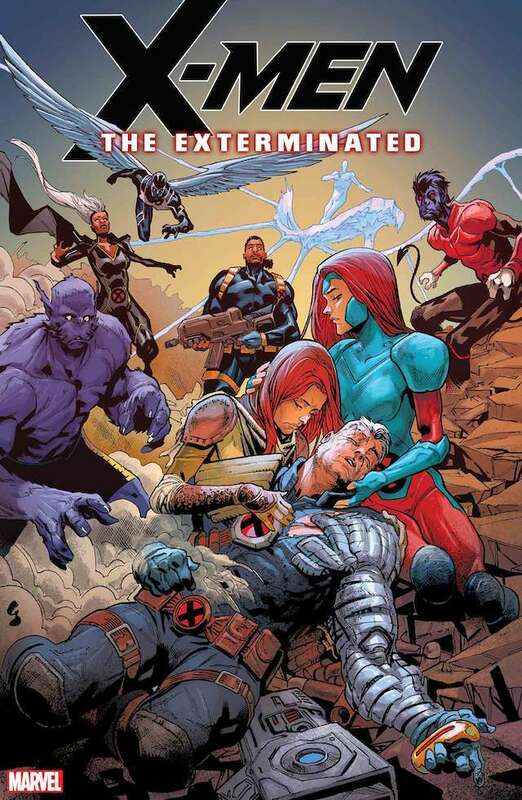 X-Men: The Exterminated will deal with the fallout from the event, and Cable's death. In the story, Cable's adopted daughter Hope Summers is attempting to deal with her loss – but a dark and terrifying path beckons her, and the X-Men’s own Jean Grey may be her only hope for survival. Time travel was Cable's beginning...and his end. In Extermination, he found himself pinned down and fighting for his life alongside Iceman, pursued by a hooded maniac who wanted to get his hands on the time-displaced classic X-Men who have been stranded in Marvel's present day for years. Ultimately, the fight came down to Cable and the hooded figure, who murdered him in cold blood before revealing himself to be...well...Cable. A younger version of himself that was apparently so determined to carry out his mission that a form of time-delayed suicide did not bother him much. You can check out the official solicitation for the issue below.